This simple childs yellow fruit and flower bracelet is ideal for summer also for casual wear, party gifts or presents. Elasticated for ease. Discounts on quantity, for details mail me with your requirements for details using the contact form. 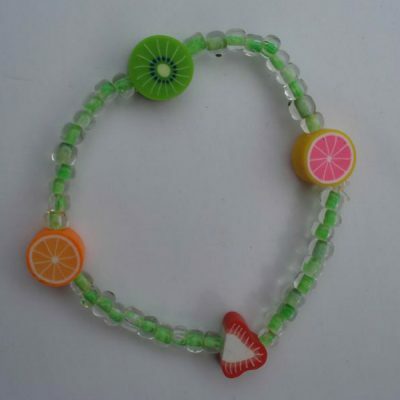 These yellow fruit and flower bracelet make great summer bracelets for girls. 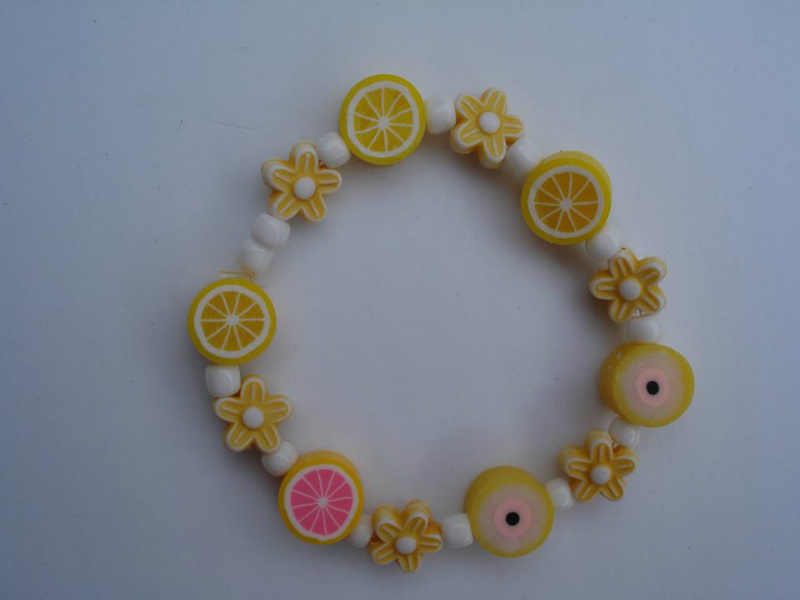 They will love them, these are citrus polymer clay and yellow daisy style ceramic flower beads. Mixed with white pony beads threaded onto elastic, these make wonderful gifts. 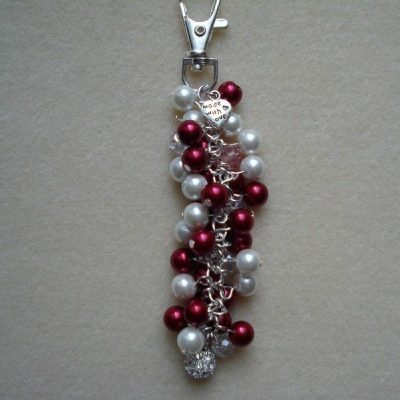 Also they are perfect for party bags or stocking fillers. Discounts on quantity, for details email me with your requirements for details using the contact form. 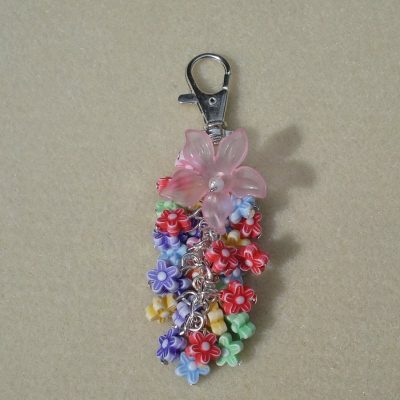 Polymer Clay fruit bead 8mm.